The majority of the Dallas Morning News sportswriters predicted that Carroll would defeat Duncanville Saturday at the Ford Center at The Star. They were wrong! Duncanville Panthers prevailed with their Iron Curtain Defense and stellar offense. This whopping handed Southlake Carroll its worst defeat in its post-game history. Duncanville scored in three of the four quarters. Major substituting in the fourth gave Duncanville no additional points, but the Panthers kept SLC scoreless as well. There has been much talk about the Panther defense. But the offense, led by Junior quarterback Ja’Quinden Jackson and running back Trysten Smith, has made Duncanville an offensive power house. 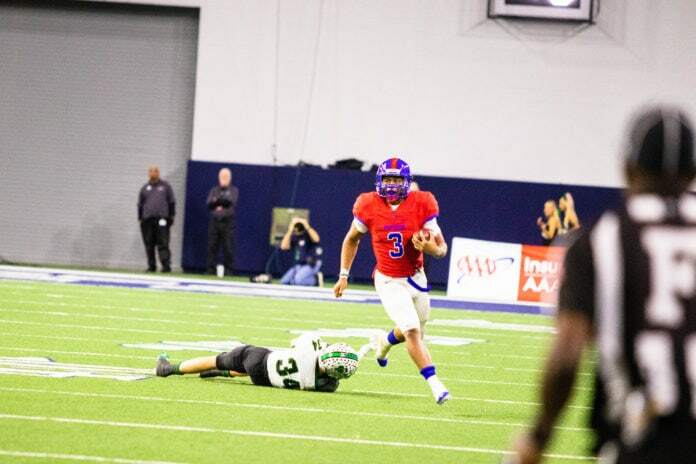 Helping Duncanville to reach the No. 14 ranking in the nation by USA Today. Before the game, Carroll’s offense averaged over 43-points a game with a 490-yards average. But Saturday Duncanville had 47-333-yards running, 25 first downs and 124-yards in the air. Magic Toe Kicker Victor Escalona missed a single field goal during the game. That makes a total of only two missed all season. What a great season for this kicker. Duncanville forced 5 turnovers, had 13 tackles for a loss and 6 sacks. Panther quarterback Ja’ Quinden Jackson alone had 19 for 156-yards rushing and 3 scores. He went 12-15-0 passing and a score. Before the game Panther Head Football Coach Reginald Samples said that Southlake Carroll was an offensive powerhouse with a premier quarterback and one of the best running backs in the country. Samples went on to say that his defense would have to step up if the Panthers had a chance to win. Carroll’s gifted running back TJ McDaniel, who is committed to SMU, entered the game Saturday with 2,031 yards and 34 touchdowns for the season. McDaniel went 17- 91-yards on the ground and 5-24 in the air against Duncanville. Duncanville’s defense was tenacious this season. They only allowed 60 yards all season. The defense had two pass interceptions against Southlake Carroll. Defensive back Anthony Cruz had a 13-yard return for a score in the second quarter and Ennis Rakestraw returned one for a 53-yard score in the third. 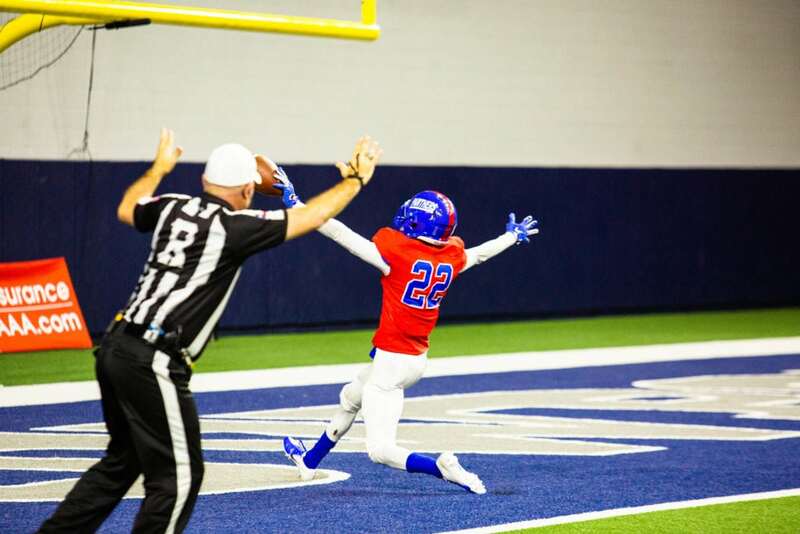 Duncanville was flagged 10 times in the game for 105-yards, but most of those were in the waning minutes of the fourth quarter, when Duncanville had substituted freely. In fact, one time they were flagged five-times in a row, mostly for off sides or motion. The bench wanted some of the action. Duncanville is just two victories shy of a state championship. The last time Duncanville won a state championship was 1998. Next Saturday at 4 p.m. at ATT Stadium Duncanville will take on Allen (14-0) winner of 30 consecutive games. Allen is ranked No. 1 in the nation while Duncanville, as mentioned, is ranked No.14. If Duncanville can flush Allen’s quarterback out of the pocket, making him run or throw on- the- run, then they have a good chance of winning. Be There!